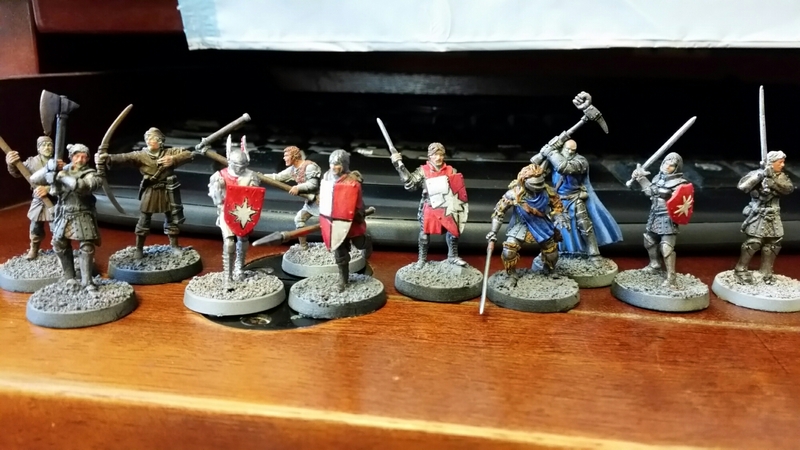 Gaming with miniatures- Warhammer, Warmachine, Hordes, and more. 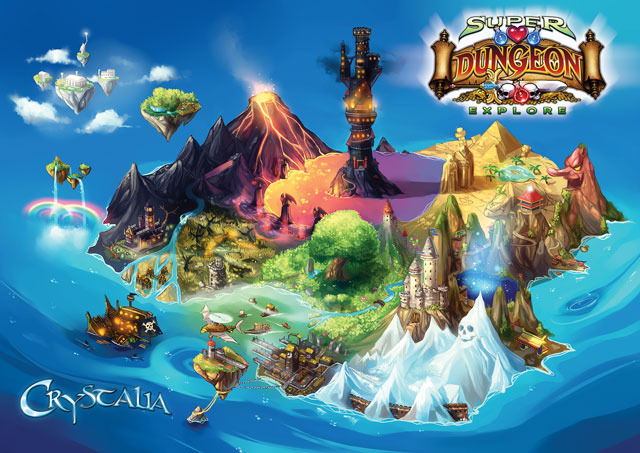 Soda Pop Miniatures recently finished a new Kickstarter for Super Dungeon Explore (SDE) called the Forgotten King on April 16th, as well as rocked the hobby gaming world with the announcement that they parted ways with Cool Mini or Not, the previous publisher of Super Dungeon Explore. They are now working with the guys from Ninja Corps, who led a successful Kickstarter campaign for Robotech RPG Tactics. Forgotten King ended the Kickstarter campaign with 6, 689 backers with a total pledge value of $1,151,889, averaged to a little more than $172 a backer. Let’s dive into the the questions and focus on their Kickstarter for SDE and see whatever else they may have planned for all of us gamers in regards to their other games and the hobby industry. The questions were answered by Deke at Soda Pop Miniatures. 1. So, Super Dungeon Explore (SDE)has been out for a few years now, and I remember doing a demonstration at Gen Con 2010. Since then, SDE has had a few new releases and mini-expansions, but this new Kickstarter is for a stand alone expansion. What was the impetus for this new stand alone game? What was the choice behind using Kickstarter? As you say, Super Dungeon Explore has been around for a few years and, like any game, we’ve found things that we want to improve and expand upon. This is also our first foray into self publishing, so we felt that a revision to Super Dungeon Explore was a great way to start out on this new adventure.Kickstarter is great for for several reasons. Obviously it helps generate capital to get a project off the ground. It also serves as a fantastic marketing vehicle, where we get to spend a month really highlighting the project and generating interest. 2. Soda Pop did a unique thing by having one pledge level for The Forgotten King. How did you decide to go against the grain and only have one pledge level? We’ve discovered from past experience with Kickstarters that multiple pledge tiers can really complicate the fulfillment end of the Kickstarter. It can also be bothersome for backers, who may feel like they’re missing out on something by not getting an expensive tier. In the end we knew that the focus of the the Kickstarter was to get people to buy the main game and be able to play. One tier makes that super easy. 3. The Forgotten King is a stand alone game. How is The Forgotten King different than the original SDE core game? Forgotten King is a revision of the original Super Dungeon Explore rules. It’s our opportunity to clean up and expand the existing rules, while still allowing you to use all your existing models. The big new feature for Forgotten King is the cooperative Arcade mode which allows you to play with an automated dungeon. 4. For those people who have the original SDE and expansions, do they need to do anything in particular to update their existing rules to the new Forgotten King rules? Forgotten King will come with an errata sheet that will cover the largest changes that you need to adapt your existing collection to the new rules. However, the best way to fully integrate your existing models into the new system will be with the Upgrade Decks. We will have one upgrade deck for each level we’re previously released, with revised cards for every model and unit. 5. If someone misses the Kickstarter or misses out on the updated cards, what is the next best way to get their updated items? Nothing in the Kickstarter is exclusive, so players will be able to get all the updated cards they need once the main game enters retail. 6. There have been a lot of stretch goals in this Kickstarter. Some are “loot” goals and some are ‘blacksmith” goals. The loot goals add new items for free to the pledge level while blacksmith goals are unlocks that you have to buy to get. What do you think is the coolest goal we’ve seen for both the loot and blacksmith categories, and why? My favorite loot goal that we had was Brave-Mode and Shadow-Mode Candy. The light/dark Hero is a very classic component to old school RPGs and it was really fun to be able to do that with our iconic mascot.My favorite blacksmith goal was hands-down, the warband boxes, specifically the Claws of the Wyrm one. I am a big fan of the warband boxes as an easy way to expand your game of Super Dungeon Explore. The Claws of the Wyrm expand my favorite monsters, the Kobolds with an incredible new stock of units. 7. Are there any items or goals that you wanted to include in the Forgotten King Kickstarter that you just couldn’t, in one way or another, include? Can you give us any hints as to what they might be? We have a huge amount of Crystalia planned out and I want to get to it all! We have many regions that are still unexplored and we can wait to visit them. 8. Do you think having two “core” games of SDE will split your fans into original and new supporters, effectively splitting your fan base? If so, what are some strategies you are might use to bridge that gap between the original and new fan bases? We don’t think the fanbase will split. In general we find that gamers always prefer to use the most up-to-date rules system that is available and Forgotten King will be the current system that everything else is built off of. Since all the previous models can be easily used with the revised ruleset we think most people will adopt it. 9. What has been the biggest challenge in getting The Forgotten King to Kickstarter? 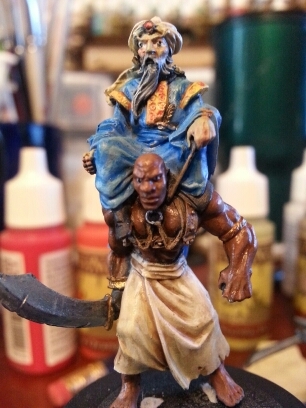 Forgotten King is a big project and getting all the wheels moving in the same direction for art, sculpt, rules, etc. is always a big challenge. It’s compounded a bit by the fact that we are also setting up the infrastructure to self publish. Which is quite a large task. Needless to say we are keeping very busy around here! 10. 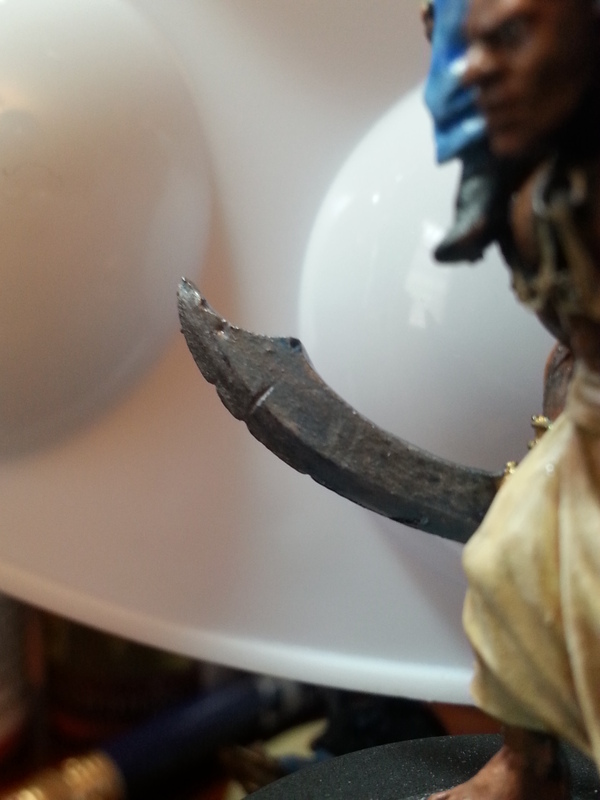 Speaking of challenges, how do you handle topics like “sculpted eyes” or no on your SDE Forgotten King minis? Do you go with the fans or do you go with what is suggested in house? I can imagine a lot of discussion goes on in the office about things like that. We are always open to community feedback, and it is very fun to be able to do things like our poll we did for the facial expression on the new dungeon boss, Goro. That said, in the end, we always make sure we stay consistent with our vision of the product and the world. Otherwise you run the risk of the classic “too many cooks in the kitchen” dilemma. 11. Currently, many people are in the middle of waiting for your last Kickstarter, Relic Knights, to be shipped, and others have received their product. A lot of companies get complaints and negative criticism for starting a new Kickstarter without delivering the first. How do you deal with the critics and naysayers in this regard since you were running Forgotten King before Relic Knights shipped? Unfortunately, delays in Kickstarters are not uncommon. I know I’m waiting on several myself. In any project, whether it is funded by Kickstarter or not, there comes a point where you have delivered a completed game to manufacturing and it is largely out of your hands after that point. You then need to move on to development of your next project. Naturally you hope that manufacturing will be complete and your project is delivered before your next project is ready, but that isn’t always the case. When that happens you just have to keep moving forward. You can’t simply stop moving forward. In the end, everyone will get the products they pledged for. We just need to keep reminding people of that fact, and that we are every bit as anxious as they are to get product in our hands. 12. How will production be different in regards to your games now that Cool Mini or Not isn’t part of that process? Will materials change, etc? The biggest change is that we will be overseeing the entire process. When we were being published, we completed a project and then handed it over to Cool Mini to manage all the manufacturing, shipping, and distribution. Now that will be managed by us all the way through. For the most part we are using all the same factories so the process and materials will largely stay the same, but we will have control over the quality control process to make sure components all meet our standards. 13. 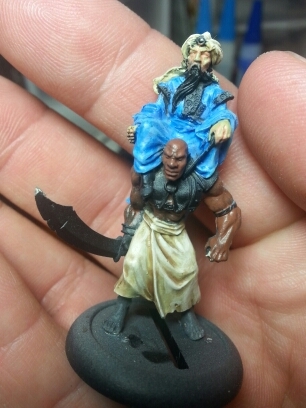 For people new to “miniatures” and the hobby side of gaming, how do you suggest people get started? Play with a friend! This hobby is always best when you have somebody who can learn with you. If you’re looking for good starting points: The current Super Dungeon Explore core box remains an excellent way to get into the miniature hobby. It gives you a ton of miniatures for a great entry price. It can be a bit daunting because of the sheer number of models to assemble but if you go at it sure and steady you get a great reward at the end. The new Relic Knights Battle Boxes will also be excellent entry points into hobby gaming. Each box comes with models, esper deck, mini-rulebook, tokens, and dashboard. It really is a great way to get into the hobby at an affordable price. 14. It seems that board games are starting a trend recently and crossing over into the “miniature” side of gaming, by including some great sculpts and providing some great hobby opportunities. Super Dungeon Explore does this well. Do you think that trend will continue in today’s market, or will the trend slowly go away, leaving the market with more delineation between board games and miniatures? What do you see as the pros of having this cross-over between game types? We think the “miniature board game” market is going to continue to grow. Traditional miniature games can be very hard to get into, and difficult for retailers to carry. Miniature board games provide a complete package in a single purchase. This makes it easy for players to get the complete experience with a single purchase. It is also easy for a retailer to carry without needed walls and walls of space to carry the product line.For people who love the huge expandability and versatility of traditional miniature games, miniature board games are a great “gateway” into the world. They provide an excellent baseline hobby experience at an affordable price. 15. What is the most difficult part in “rebooting” a game such as The Forgotten King? Revising and making sure you don’t break existing models. Usually you develop just for the expansion you are currently releasing, but a revision requires that you go back and look at everything you’ve done before. So in many ways you’re writing four expansions simultaneously. 16. What has been the biggest moment, or moment of most excitement in the creation of The Forgotten King- From day 1 to now? 17. It seems that with SDE Arena rules, you could have an official tournament rules and start that in stores. If that is going to be a possibility, you will have a group of casual gamers playing the board game for fun with fans playing the game competitively. Do you see that as another dichotomy in the fans of SDE? We are working on tournament rules for PVP Arena now and should have them soon! Super Dungeon Explore has a wealth of models and a really fun style and world. We also know that there are people that love many different types of gameplay styles. Our goal is to let you play in the Super Dungeon universe in any manner you want. Whether it is competitive with PVP Arena, casual with Arcade or Classic, or story driven with our future Legends expansion. 18. Relic Knights took off in a big way on Kickstarter, surpassing the fan’s expectations. Did Relic Knights go beyond SPM’s expectations as well? Meaning, was it bigger than expected? If so, how is SPM dealing with the larger than life game that has come from the Kickstarter? Relic Knights doubled in size from what we had originally intended. The planned book jumped up an extra 100 pages. It was an incredibly exciting moment for us, and in retrospect we probably should have reigned it back a bit. Nonetheless, now that it is shipping soon we are hard at work preparing organized play opportunities for players. We are planning two tournament systems: Establishing Order and Endless Hunger. Establishing Order is your classic hobby intensive system that rewards painting, sportsmanship, and celebrates the entire hobby. Endless Hunger is all gameplay focused where speed and skill are paramount to your success. We’re also working on some campaigns to play with your club and friends! 19. Writing rules for games is an art. How does SPM go about writing great rules and making them clear and meaningful? Lots of revisions and lots of playtesting. With Relic Knights we did a limited public beta which was a huge success. Nothing really compares to having thousands of gamers looking at your system to find the flaws. Really though the most important thing is to leave your ego at the door. No rules system is every going to be perfect so it’s really important to be open to feedback and be willing to change things. 20. What is the best part about being involved in the gaming industry? We get to bring our ideas to life! Every gamer has dreams and ideas of what they would love to see as a game. We actually get to make those ideas a reality. Then to watch others enjoy them is a real treat. You just can’t beat the feeling you get when you watch a whole group of players enjoy something you created. 21. What are some general trends you see happening in the industry- both on the development and production side as well as on the consumer side of things? Digital sculpting and 3D printers are going to change everything. We’re already seeing the ability to affordably create models generate an influx of high quality games. That trend is just going to continue. We can’t wait to see what will happen when consumers can afford high quality 3D printers. Maybe one day we’ll just sell files of awesome miniatures for you to print at home. Wouldn’t that be something! 22. What are some unique things SPM are doing to reach fans? What is the most difficult thing in reaching fans? We have always tried to move beyond the traditional miniature game audience. We were one of the earliest miniature companies to look at events like PAX and anime cons to actively engage the video game and anime fan bases. We also stress a sense of fun and wonderment in our games. Many traditional properties are very dark and dour. We love things bright, colorful, and exciting! 23. If you had free reign to develop a new game (including funding, the ability to make components, etc) what would be an ideal game for SPM? Essentially, you can make a wish and the game will be there. I would like to thank Soda Pop Miniatures for taking the time out of their busy schedules to answer questions for Pen and Lead. I look forward to seeing the Forgotten King in stores and on shelves as well as many, many, people playing it in game stores, clubs, and conventions. Thank you for the opportunity and for your readers’ time. It’s been a pleasure! Also, for those who may not be aware, Soda Pop Miniatures has a new volunteer organization called Ninja Corp for fans of their games. If you love running events, showing off painted miniatures, and more, check out Ninja Corps and see if you are interested in being a volunteer. So, Deadzone is a new release by Mantic Games set in the Warpath universe. Warpath is a mass combat miniature game set in a science fiction world, and Deadzone is a different game that shares the same world and universe- Meaning that the races, nations, and other things exist in the fluff in both games. 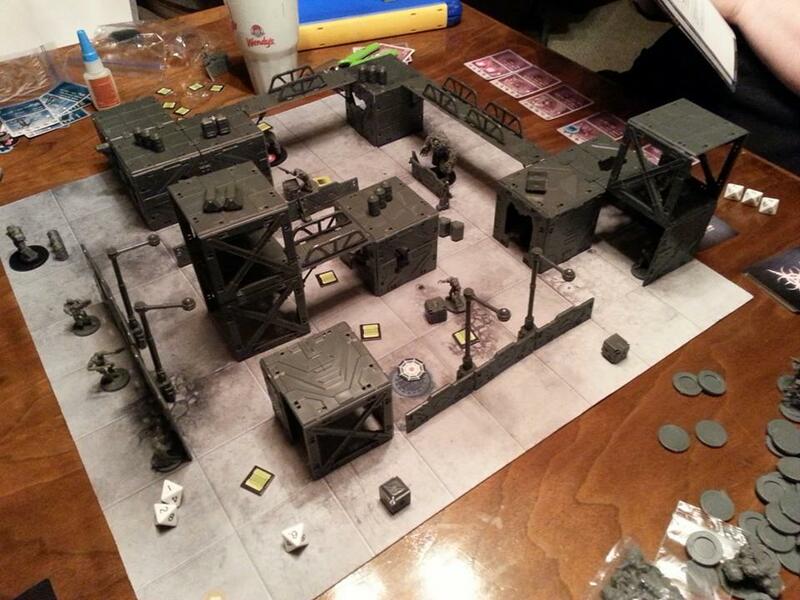 Deadzone is unique in that it’s a miniature game, but that it comes with modular scenery that can be built in many different ways. The game board in Deadzone is based upon 3″ cubes of space, and the buildings are build in 3″ cubes as well, so you can build multiple levels or one big single level building. The idea in Deadzone is that some ancient technology, virus, alien artifact, etc, when found, infects people and turns them into hulking brutes- some mindless and some not so mindless. In fact, the smaller versions keep a good portion of their intelligence and can even use weapons and technology. The Enforcers are the Corporation’s elite peacekeepers, dispatched to tackle threats that are beyond the scope of regular military units. Each one is a superior soldier, trained in countless forms of combat and equipped with the best technology available. As a unit they are disciplined and fearless, ready to lay down their lives to carry out the orders of their captain without a single question. The free-thinkers and dissidents of the Corporation will always find a home with the Rebellion. They do not stand alone, either; the galaxy is large and most races have reasons to hold a grudge against the Corporation. Coordinating their efforts from hidden bases deep in unoccupied space, Rebs raid isolated outposts to build stocks of munitions and technology, hoping one day to have the strength to stand up against the Council of Seven. The Marauders were trained by the Corporation as shock troops and guards, but that’s in the past – since the Mandrake Rebellion they’ve become the terror of the shipping lanes. They strike out at the GCPS with the very weapons with which they were outfitted, combining well-honed battle drill with brute force and low cunning. I had my first game last weekend and it was interesting to say the least. Needless to say, we played the game completely wrong. Below is an image of the board set up for our first game. I was playing the Enforcers, the humans, and my friend Chris was playing the Plague. You can easily see the 3″ cubes. This will look great if I ever paint it up. Hopefully I’ll be able to get more games in in my busy schedule, but that’s the challenge. If you have any Deadzone stories so far, or links to some cool Deadzone paintjobs or terrain, let me know in the comments below. So, I took a little break “A Long Time Gone” during the holidays but now I’m ready to get back into the swing of things. To get the ball rolling, I’ve got a few things lined up like a review of some Wreck-age models from Hyacinth Games and a couple interviews. I’ve spoken with Ross Thompson at Soda Pop Miniatures as well as Mr. David Freeman and Kai Nesbit at Cipher Studios and they’ve all agreed to answer some questions about their products. Soda Pop Miniatures is the one responsible for the likes of Super Dungeon Explore and Relic Knights. Cipher Studios is the company behind Anima Tactics and Hell Dorado. As I’d like to get these questions out to both companies in the next few days, I’d like to solicit all of you for any questions you might want to ask. So, if you have anything in particular you want to know, simply reply below and let me know what your question is to these fine folks. Jake, designer of Dreadball, by Mantic Games, has updated the ball launching rules which a lot of players have been hoping for. DreadBall – New Rules For Launching The Ball |. In the past, when a ball was launched, a player could be hit and the person could lose a rush because their player couldn’t catch the ball, making it an auto turnover. This annoyed many players, so Jake worked up a new fix. Hope you enjoy and that this makes people happy. I certainly look forward to the change in Dreadball Season 3. GCT Studios sent out this update after returning back from Gen Con, as they want their fans and those new to the game to new that Wave 14 is live! We’re back safe and sound from GenCon. All I can say is wow, it was an amazing show and something of an eye opener for all the team. We had an amazing time and are happy to say it went really really well, well enough to have already booked a bigger and better stand for next year as an American waiter kindly let us know “go big or go home”… Love it. 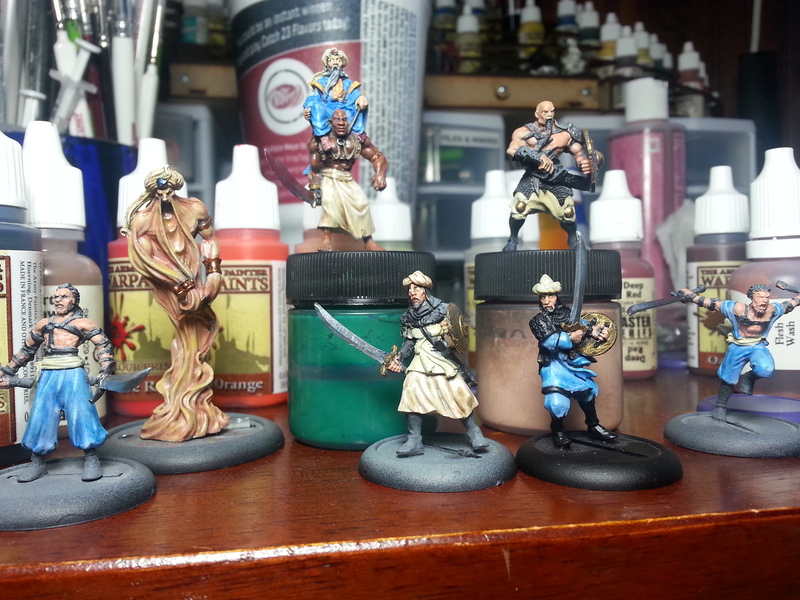 Big thanks to all those that stopped by to demo, chat about Bushido, look at the models and pick up the game. The Silvermoon Trade Syndicate were well received, people seemed to have a blast gambling their Ki, laughing in the face of fate, or just pounding people with the bear like Buto that is Manu. Two brand new concepts from Wave 14, this Wave as always will bring a model for each faction. Look out for more updates in the run up to their launch early October.